The rewards of being a writer for Hackaday are many, but aside from the obvious perks like the secret Hackaday handshake and admission to the private writer’s washroom, having the opportunity to write original content articles is probably the best part of the job. It gets even better, though, because after you submit an article, you’ll eventually get an email from Supplyframe Art Director Joe Kim with a Dropbox link to the original art he has created to accompany your piece. No matter where I am when that email comes in, I click on the link immediately, eager to see what Joe has come up with. And I’m never disappointed. We’ve loved [Daito Manabe]’s work for a while now. Don’t know [Daito]? Read this recent interview with him and catch up. Is he a hacker’s artist, or an artist’s hacker? My personal favorite hack of his is laser painting apparatus from 2011. The gimmick is that he uses the way the phosphors fade out to create a greyscale image. Saying that is one thing, but watching it all come together in time is just beautiful. Maybe you’ve seen his facial-electrocution sequencer (words we never thought we’d write! YouTube link). He’s taken that concept and pushed it to the limit — setting up the same sequences on multiple people make them look eerily like the sacks of meat that they are, until everyone laughs at the end of the experiment and they’re all back to being human. Anyway, if you didn’t know [Daito], check out the rest of his work. Have any other favorite tech artists that we’re missing? Drop us a line. It’s crazy to think that we’ve optimized the heck out of some types of powered flight when there are entire theories and methods that haven’t even seen many government research dollars, let alone the light of day. The cyclocopter is apparently one of those. It was dreamt up around the same time as a helicopter, but was too audacious for the material science of the time. We have helicopters, but [Professor Moble Benedict] and his graduate students, [Carl Runco] and [David Coleman], hope to bring cyclocopters to reality soon. For obvious reasons they remind us of cyclocranes, as the wings rotate around their global axis, they also rotate back and forth in a cycloidal pattern around their local axis. By changing this pattern a little bit, the cyclocopter can generate a wide variety of thrust vectors, and, hopefully, zip around all over the place. Of course, just as a helicopter needs a prop perpendicular to its main rotor on its tail to keep if from spinning around its axis, the cyclocopter needs a prop facing upwards on its tail. It does have a small problem though. The bending force on its wings are so strong that they tend to want to snap and fly off in all different directions. Fortunately in the past hundred years we’ve gotten ridiculously good at certain kinds of material science. Especially when it comes to composites we might actually be able to build blades for these things. If we can do that, then the sky’s the limit. [Professor Benedict] and his team are starting small. Very small. Their first copter weighs in under 30 grams. It took them two years of research to build. It will hopefully lead to bigger and bigger cyclocopters until, perhaps, we can even build one a person can get into, and get out of again. The short film, Farewell — ETAOIN SHRDLU, produced in 1978 covers the very last day the New York Times was set for printing in the old way, using hot metal typesetting. We’ve covered the magic of linotype machines before, but to see them used as they were in their prime is something else. They saw nearly a hundred years of complete industry dominance. Linotype machines had entire guilds dedicated to their use. Tradesmen built their lives around them. For some of us we see the rise and fall of technology as an expected thing. Something that happens normally, sometimes within spans that cover only a few short years. Yet it’s still a strange thing to see a technology so widely used shut down so completely and relatively rapidly. To make it even stranger, the computer that replaced the linotype machines is so alien to the technology used today that even it is an oddity. In the end only the shadow of the ‘new’ technologies — showcased as state of the art in this video — are still in use. Nonetheless it’s important to see where we came from and to understand what it means to innovate. Plus, you never know when you see an old idea that’s ready for a bit of refurbishment. Who knows, maybe part of the linotype’s spirit is ready to be reborn, and all it takes is a clever hacker to see it. Oh, and that title — ‘etaoin shrdlu‘ — is the linotype equivalent of ‘qwerty’. The first two columns of keys on the linotype machine make up those two words. The best way to pull off this deception: tell your significant other that you’d want nothing more than a romantic week in Paris. 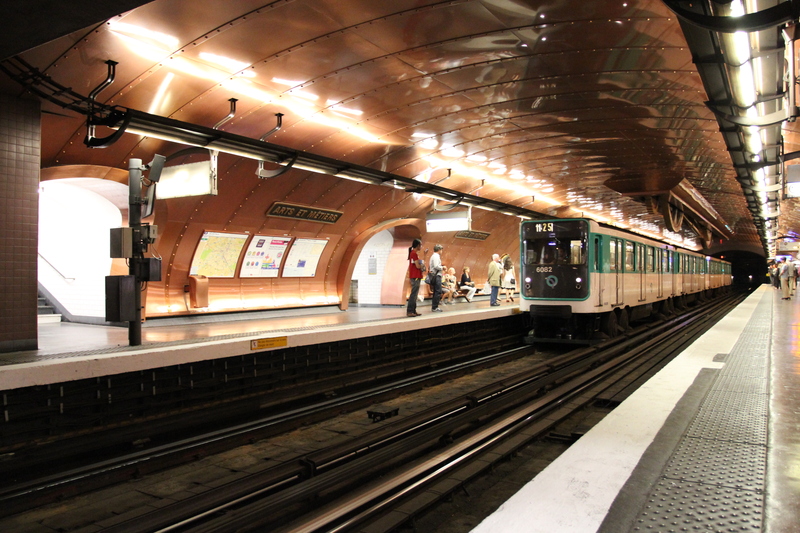 Arrive in Paris, stash your bags, and then take either the number three or eleven Metro. When you get to the station that looks like the inside of a giant steam engine, Arts et Métiers, get out. 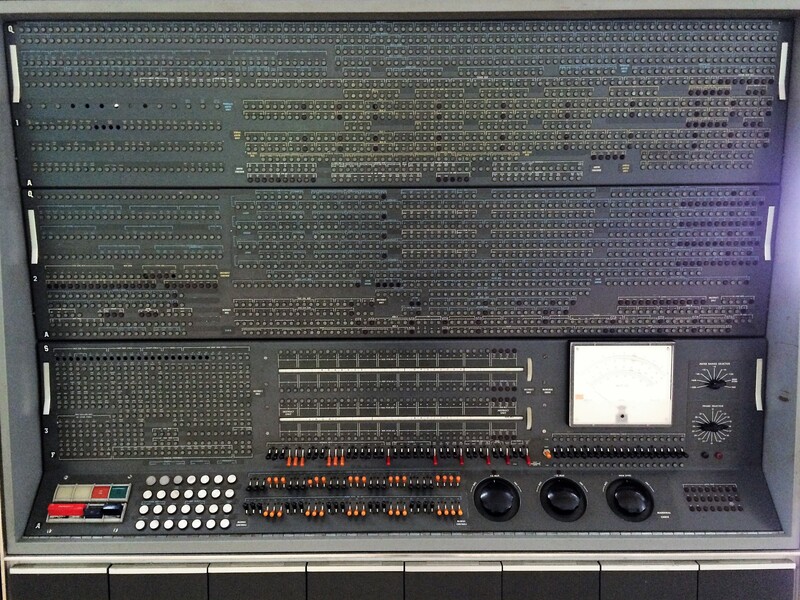 You’re now ten Euros away from one of the coolest museums a hacker could visit. 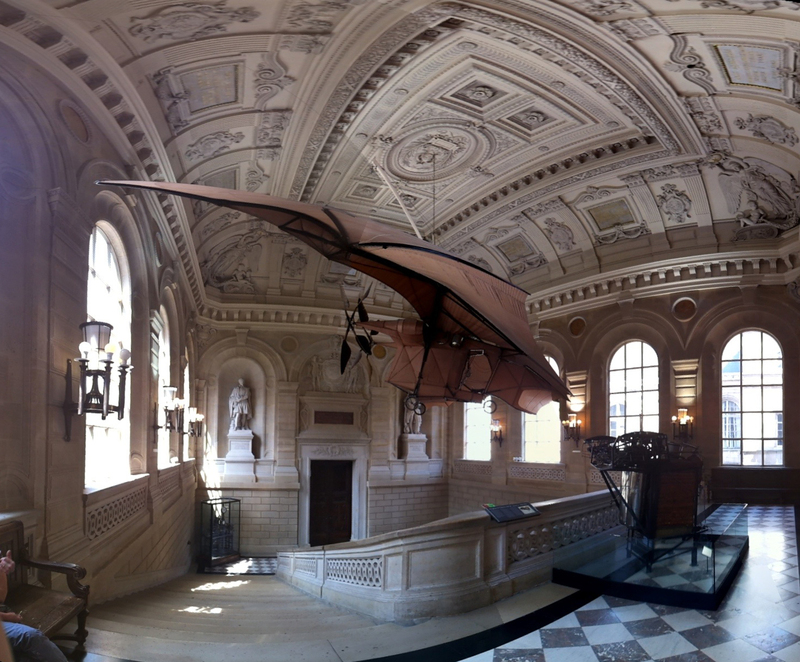 A significant portion of modern science’s beginnings is sitting in the Musée, polished and beautiful. Most of them are housed in cabinets so old they’re part of the exhibit. Now, the Henry Ford museum in Detroit Michigan is a monument to industrialization, and cool in its own right, but it leaves some questions unanswered. We’re all spoiled by desktop CNCs, precision measurement tools for pennies, and more. How did we get here? How did they measure a shaft or turn a screw before precision digital micrometers? What did early automation look like? Early construction? Also did I mention it has Foucault’s Pendulum? You know, the one that finally convinced everyone that the Earth rotated around an axis? No big deal. The museum has a few permanent exhibits: instruments scientifique, matériaux, construction, communication, énergie, mécanique et transports. Instruments Scientifiques was one of my favorites. 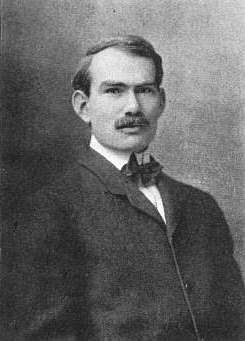 Not only did it include old scientific instruments, it had sections containing some of the original experiments in optics, computation, and more. 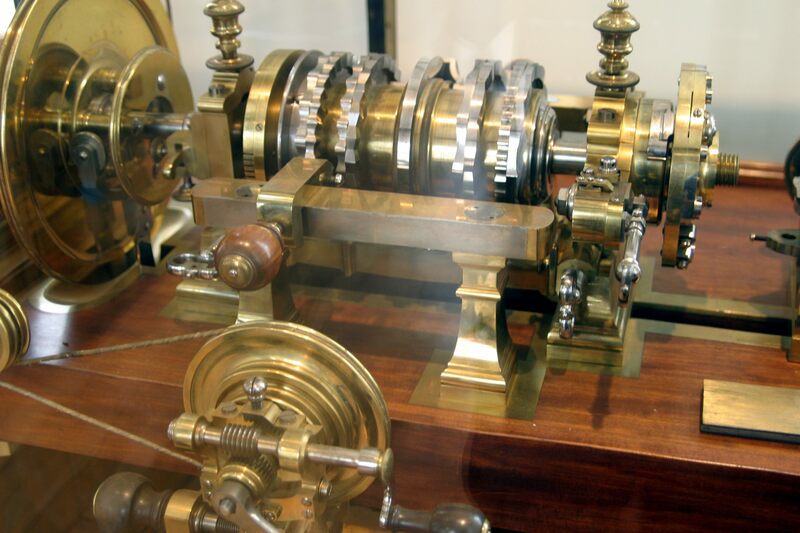 For example you can see not just one but a few original examples of Pascal’s Pascaline, arguably the first mechanical calculators in the modern era to be used by the layman for every day calculation, signed by Pascal. It’s also worth noting just how incredible the workmanship of these tools are. They’re beautiful. Matériaux was initially a disappointment as I entered it from the wrong end. For me it started of with a tragically boring and simplistic display on recycling materials designed primarily to torture children on field trips. Luckily it quickly ramped into a fascinating display on materials manufacturing technology. How did we go from hand looms to fully automated Jacquard looms (of which you can see some of the first examples) to our modern day robotic looms? How did ceramic evolve? What was early steelmaking like? It’s very cool and models are all in beautiful condition. It reeked of copper, machine oil, and phenolics. They just don’t make computers like they used to. By the time I got to Communication I was reaching the limit of my endurance and also what you can fit into a single day of the museum. It’s a large building. It was packed through many of the early examples of computing, television, and space. There was quite a display of early camera equipment. You could get close enough to some truly massive old computers to smell the still off-gassing phenolics. Construction held my interest for a long time. It’s not my usual interest, but after living in Paris for a month or so I was absolutely burning with curiosity. How did anyone without a single powered crane or vehicle build so many buildings out of stone? It’s packed for four rooms and two stores from floor to ceiling of beautiful little wood models explaining exactly how. Énergie was quite cool. It followed the development of steam power for the most part. It started with primitive waterwheels. Moved on to turbines. Then showed the gradual increase in complexity until the the modern day. It had some internal combustion too, but much of that was reserved for the transports section of the museum. It also had some interactive displays to entertain children and Hackaday writers. However they were in desperate need of an oiling and this is by far the most ear-piercingly squeaky exhibit in the whole building. Mécanique is competing with instruments scientifique as my favorite exhibit. Have you ever wanted to see hundreds of examples of screw machines, old lathes, and the evolution of the milling machine? What about models of the factories that built steam engines or massive wagon wheels. They even had a lathe that belonged to a French king. Apparently he thought metalworking was the way to get in touch with the common people. Transports was a nice exhibit, but it fell a little short for me since I’d been to the aforementioned Henry Ford museum. However, it covered the history of some of the European automobile manufacturers pretty well. Had a nice section on trains and subways. And even had some models of the ships used in the European Space Agency. The last exhibit is the museum itself. It’s an historic building. It was originally built as a school for training engineers in 1794 but as the school grew out of it, it slowly transformed into the museum it is today. The architecture is beautiful. It’s adorned in stone and statue like all the French museums. It also has sections cut out in some of the higher storeys of the building so you can see how it was constructed. Part of its beauty is also related to the school swallowing up the Priory of Saint Martin des Champs (Google translate does a great job if you don’t read French). The Priory is a beautiful old church, founded in 1079. It was home to the last trial by combat the country would see. You can piece together the story between the two pages dedicated to the combatants Jean de Carrouges and Jacques Le Gris. 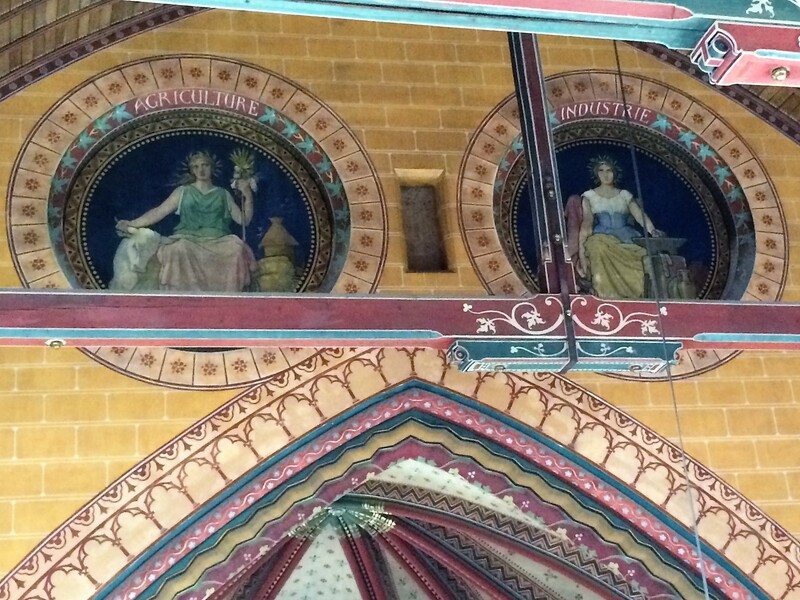 The muses of agriculture and industry now look over the sanctuary. The final display in the museum is in the church. It holds Foucault’s pendulum, dangling from the center of the sanctuary. If you get there early enough in the day you may get to watch it knock over a peg or two and prove the rotation for yourself. Rather than the statues of the saints there are statues of the muses of Industrie and Agriculture. The hall is filled with more exhibits. There are cutaway original automobiles. A model of the Statue of Liberty. A catwalk lets you take a high view of the surroundings. It is also beautiful in and of itself. The church is well maintained and painted in the style original to them. If you find yourself in Paris with a few hours (or days) to spare I highly recommend this museum. Any technical person would be hard pressed to leave uninspired and unawed by the display. It’s good to get a perspective on the past.